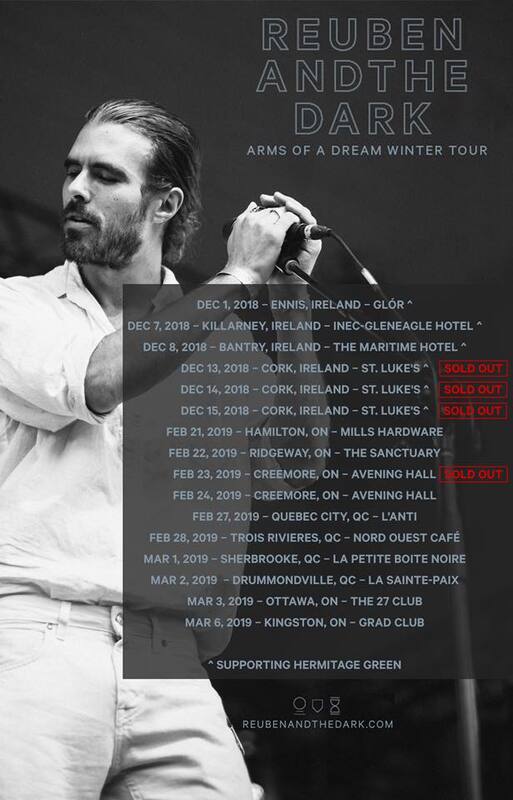 Calgarian Indie folk band Rueben and the Dark are on their current tour of Ontario and Quebec in support of their latest release, Arms of a Dream. Vocalist Reuben Bullock was kind enough to talk with me this week while on the road. It’s very rare that I get to speak with someone who’s inspiration comes from within themselves. Read on to find out why this band is making headway on the Canadian music scene. Ron: Firstly I’d like to say I’m quite new to your music and career so that’s kind of where I’d like to start this interview off with. What was your beginning as a musical artist? Reuben: I got a real late start in it. When I was younger I was obsessed with skateboarding. I was doing that up until I was about 19. I was travelling, touring with sponsors and competing. I’d been writing a lot filling notebooks with poetry. My older brother gave me a guitar, I learned two chords and then it was on. I started filling in songs with all these words I had been writing for so long. From there I hit the ground running, maybe because I got a late start since I was 20 years old. Ron: That’s so interesting because most people will talk about how some musician influenced them but with you, it seems with those two chords you influenced yourself. Reuben: Yeah for a while it was a very insulated thing. I appreciated music but it wasn’t my passion. I was more into writing. It was my way of expressing things. That’s where my passion laid. I was definitely inspired from inside. I don’t really have role models when it comes to writing songs. I pretty much keep it to myself. I love songs and artists but I don’t try to be like somebody. I thought I had to be an island or totally isolated rather than copying somebody. I learned to project that creative source from a pretty early age. Ron: That’s really unique. This way you get to be a more original artist. Even though you’ve never had much musical influence I have to bring up your cover of Bobcaygeon from The Tragically Hip. How did that come about? Reuben: We were touring Ontario and I wanted to do a cover song because we usually never do covers. On this tour of rural Ontario, I wanted to give something that would be a gift to the audience. It was like “Hey you don’t know us that well but we’re going to play something you do know.” I was going through some songs in my head on what to do. 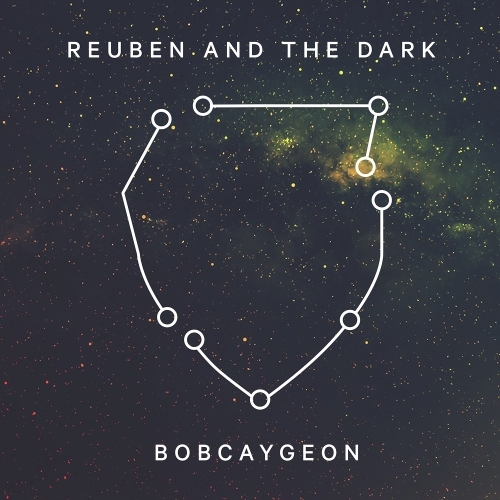 For some reason, there’s a line in that song (Bobcaygeon) ‘I saw the constellations reveal themselves one star at a time’. That line burned inside my brain the first time I ever heard it. It just sank into my heart and it was like that’s the song we have to play. Everything just happened so naturally. We had such a reaction the first time we played it we knew we had to record it. Then there was a lot of pressure from people every night for us to record it. It just felt so right. Ron: Yeah well that went on to get you involved in the Gord Downie & Chanie Wenjack Fund. Reuben: It goes back to what I was saying how we did that song as a gift and now it was such an easy decision to pair it up with the Chanie Wenjack Fund. I really respect the work that they do. I wanted to work with them anyway so it was a really nice tie in and do something for them that would also contribute to Gord Downie’s legacy. Ron: You originally started off as a solo artist and then made things more into a band. What was the decision for that? Reuben: It’s such a vulnerable thing to stand out there on the stage by yourself. When you’re up there by yourself there’s so much going on in the audience and everyone’s looking at just you. I wanted to remove myself from that as much as I could. I really just wanted to play songs. The first time I played with a band I felt it took the edge off of me where I didn’t have to be displaying myself. It was a comfort and support. I’m not so much an entertainer I just like playing songs. Ron: On that point tell us about the band. Who’s in it? Reuben: Right now we have Shea Alain from Yellowknife who’s a guitarist, multi-instrumentalist. He’s the first person I ever played music with. We have another guitar player Brock Geiger who’s from Calgary. Our bass player is Ian Jarvis and he’s from Montreal, Quebec. Our drummer is Dino Soares and he’s from Kingston. Ron: I have to say anyone listening to Hold me Like a Fire with the 70 vocal choir is going to be moved emotionally. What was it that made you decide to do the song like that? Reuben: Yeah, well the funny thing is the song just started with those lyrics ‘hold me like a fire hold me like a river’ and I would just sing them on repeat to myself. I liked the way that it sounded and it was relaxing. Sometimes I’ll do things at shows just to make it different. At one show I started to just sing those words to the audience and they kept on singing and singing it back. Then I riffed over some lyrics and it was one of those improv things that just happened. I wrote more lyrics to it because I wanted to do it again. I didn’t think of it so much as a song but just something we would sing together. By the end of that tour, a lot of people started to ask for a recording of it. For me, it wasn’t a full song. it was just something we had in mind. So when it came time to record it I knew we had to capture what was good about it which was a bunch of people singing together. We were put up for a residency in the National Music Centre in Calgary. It’s a beautiful huge facility. I put out a call on social media to say we were looking for some people to join us in the studio. I thought maybe we would get 10 people to show up and 100 people wrote back immediately. The folks at the National Music Centre figured out how to facilitate it by moving it from a studio into this hall and registering everybody. By the time it all came together, 70 people showed up. It’s amazing to have that many people in it because with them you capture the heart of it all. Having that many souls on your recording is such a good feeling. You’re always trying to capture some magic when you pick a song and record it and with that, it was really easy to capture the magic. Ron: For sure. You are doing this tour right now so what is it that people can come to expect from your live shows? 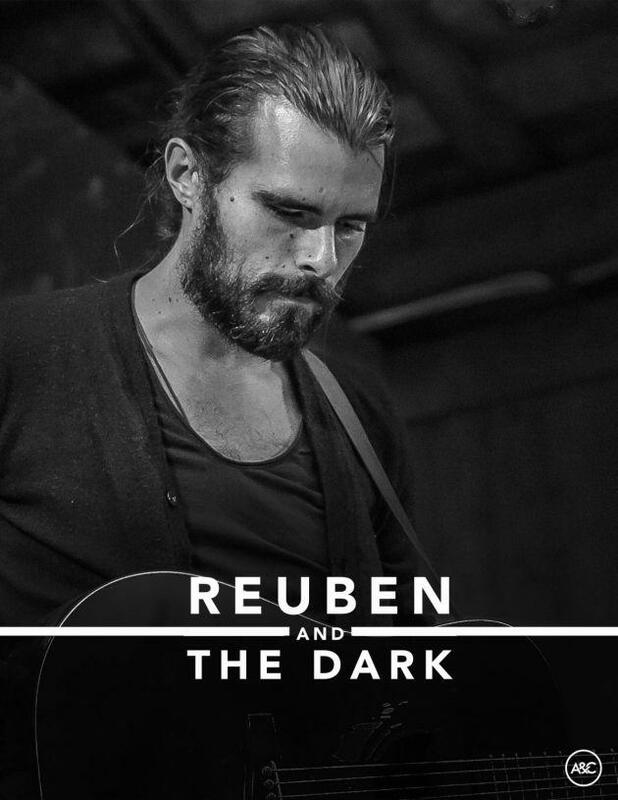 Reuben: For me every night I’ve been challenging myself on how to find the magic. I’m trying to make each show unique and how I can make it special. It’s this exchange of energy where the room comes together.